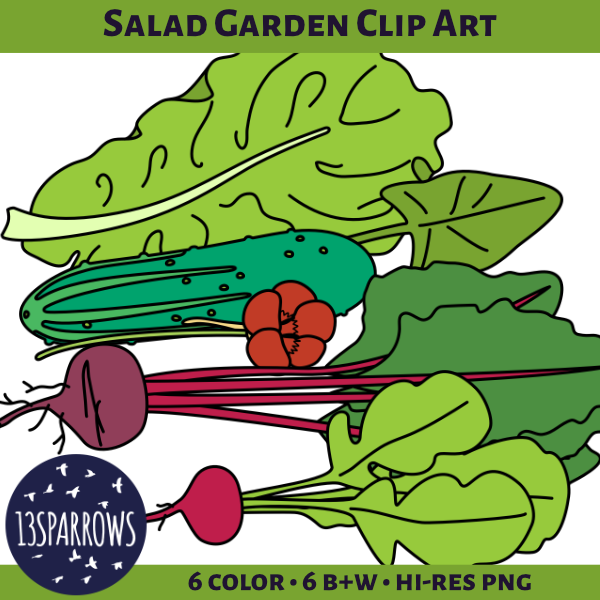 The thumbnail product cover for Salad Garden Clip Art. Features a green lettuce leaf, a dark green spinach leaf, a green cucumber, an orange nasturtium, a red beet with dark green leaves, and a red radish with bright green leaves on a white field. The 13sparrows logo is at the bottom with the text 6 color, 6 B+W, and hi-res PNG.